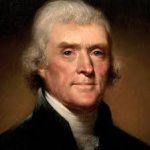 The most magnificent sentence ever written in the English language was penned by Thomas Jefferson: We hold these truths to be self-evident, that all men are created equal, that they are endowed by their Creator with certain unalienable Rights, that among these are Life, Liberty and the pursuit of Happiness — that to secure these Rights, Governments are instituted among Men, deriving their just powers from the consent of the governed. The United States of America was established based on the ideas coined in Jefferson’s extraordinary sentence. 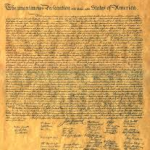 Unlike all the other nations of the Earth whose existence stem from: geography, language, ethnicity, religion, tribal identity or arbitrary colonial fiats, America was founded on an idea. Stated simply, the idea is that free men and women can govern themselves and in so doing be: free, prosperous, strong and at peace. Moreover, our freedom is a natural right, bestowed by Nature or God and not by any government or ruler. Indeed, the government’s main job — in a real sense, its only job — is to secure the rights enumerated in our Constitution by enforcing the laws that express the consent of the governed. Propelled by those ideas, the American people developed the freest, most prosperous nation in the history of the world. But over the last century, the people have increasingly lost faith in these ideas, and have repeatedly and flagrantly breached the contract our ancestors made with themselves, and which they viewed as binding on their descendants. Yet, a saving remnant remains. A sizeable — but unfortunately probably a minority — proportion of the people are frustrated, disappointed, even revolted by the retreat of America from its founding principles. This site is dedicated to those people. Too many of them have given up, believing that the US has passed the tipping point; that is, the American experiment in limited government has gone off the rails and a truly free society has been irretrievably lost. I am not one of them. 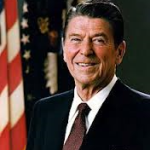 Ronald Reagan famously said: Freedom is never more than one generation away from extinction. We didn’t pass it on to our children in the bloodstream. It must be fought for, protected, and handed on for them to do the same, or one day we will spend our sunset years telling our children and our children’s children what it was once like in the United States where men were free. Well, as I approach those sunset years, I have no intention of having any such conversation with my grandchildren. The battle for this generation may prove more difficult than it was for their ancestors; but I believe that it can be won.